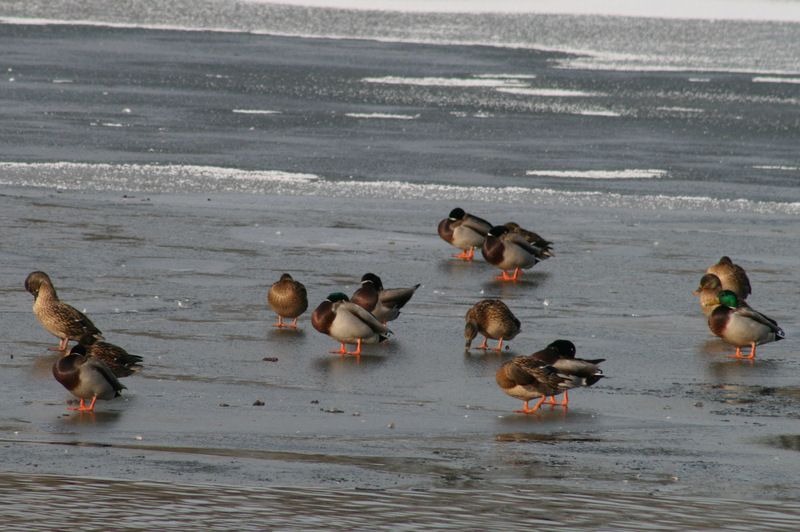 Cold and snowy weather can be the perfect time to go and visit larger waterbodies where all the water fowl are often far away – as the ice closes in, they are generally pushed closer together where they manage to keep a small area of clear water where they all then congregate. Whilst I’m sure they aren’t too pleased with the weather, this does often make them easier to see! 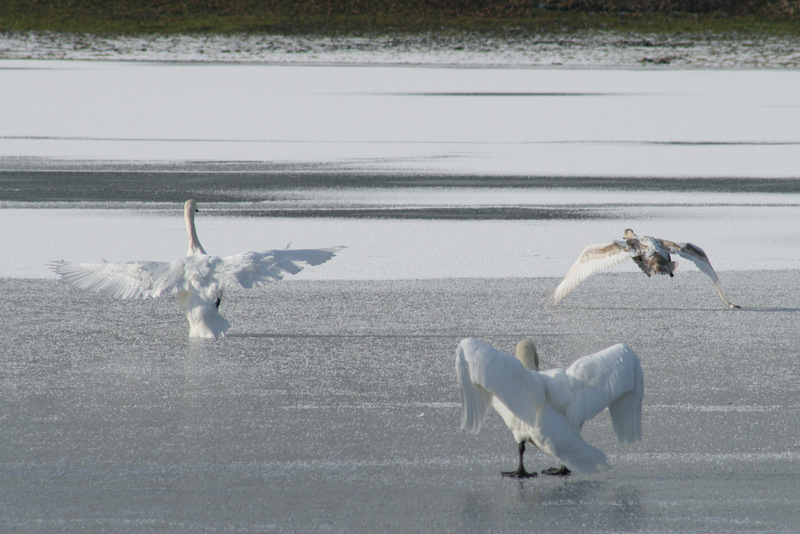 And if you’re lucky, you might even enjoy the sight of one trying to land one the ice as in the case of the mute swan – this year’s judging by the greyish tinge to the plumage! Denton reservoir is located in the village of Denton, just outside of Grantham. It can be accessed by footpath from the village and is well worth a visit at any time of year. Lincolnshire County Council have produced a walking route which takes in the reservoir as well as the villages of Denton and Harlaxton – you can download a copy here or pick one up from Grantham Library. 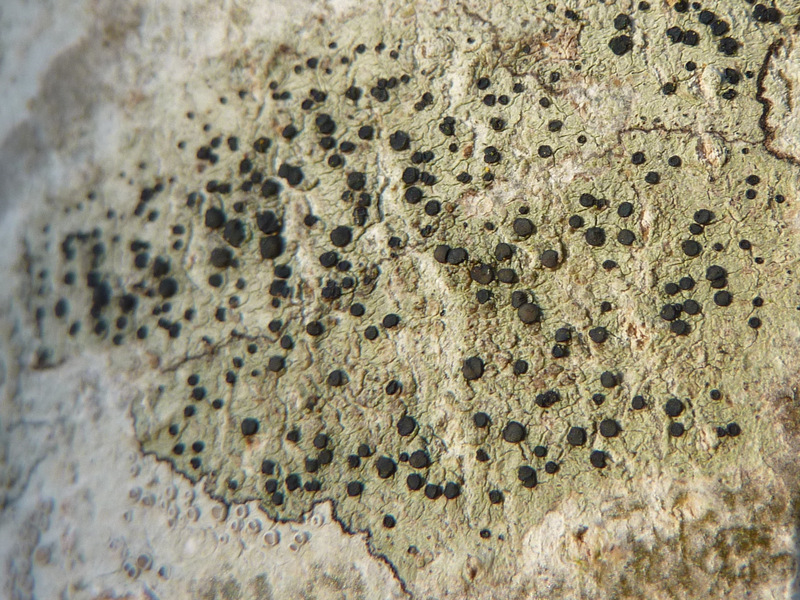 I spotted a total of nine species at the weekend which are illustrated below. 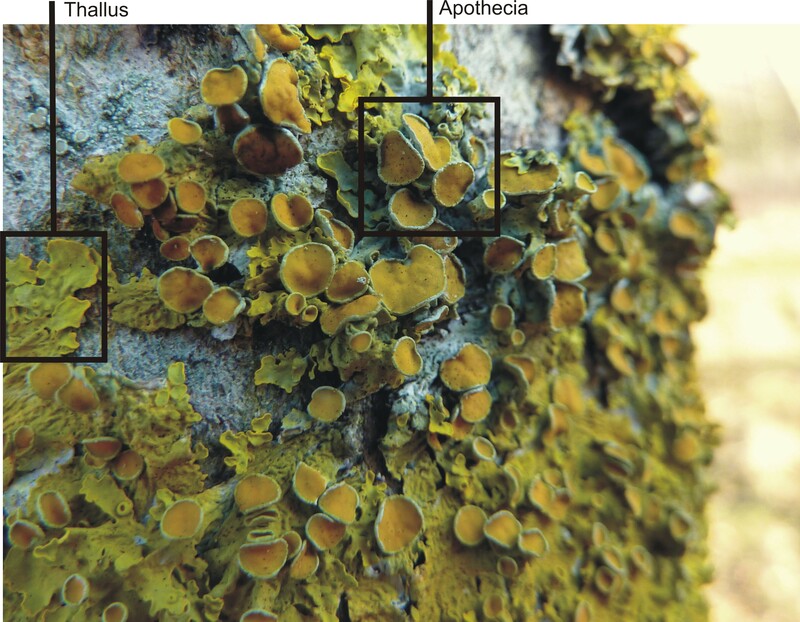 These two species are quite similar at first glance and you might be forgiven for thinking one was the male and one was the female! 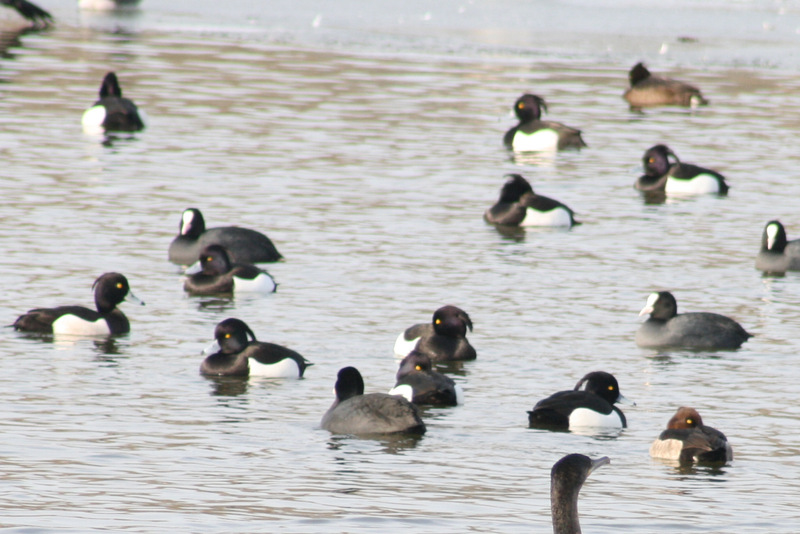 The black and white diving ducks, with the little tuft extending back from the head, are tufted ducks whilst the brown-headed pochard is the chap with his head tucked under his wing in the bottom left of the photo. 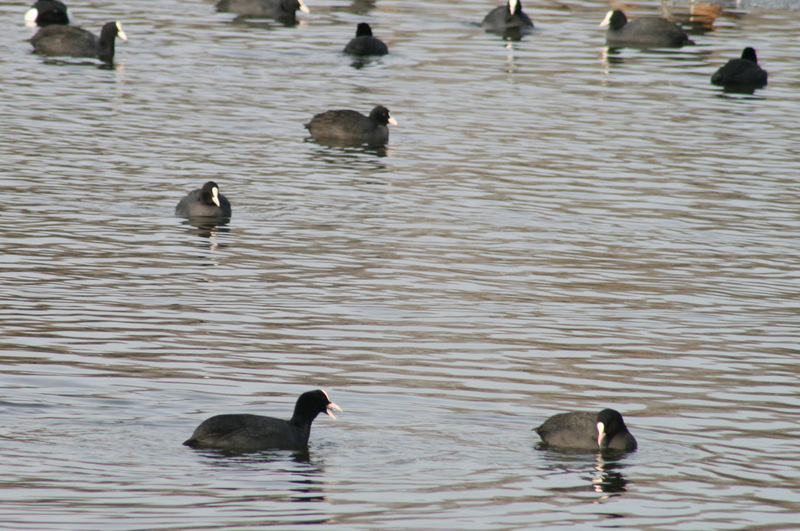 Don’t be distracted by the white-nosed coot’s, they’re featured further down. Often thought of as a sea bird but often seen inland. 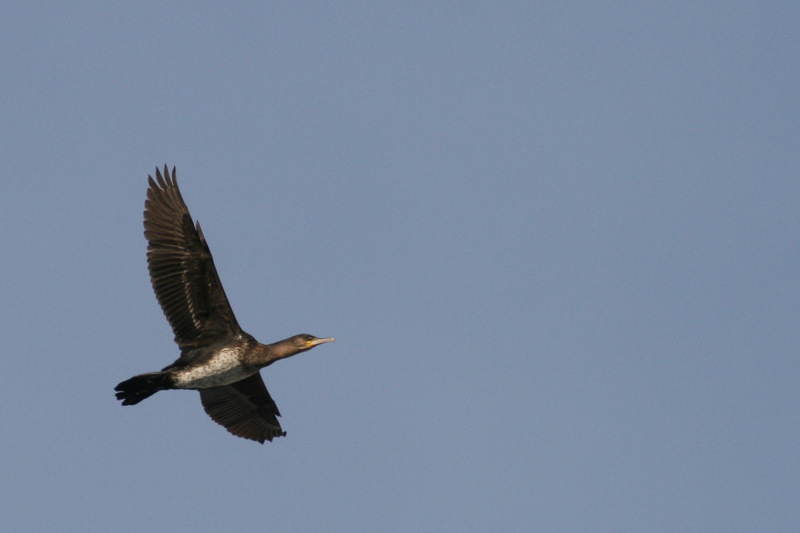 Similar to a shag but shags are very rarely seen away from the coast. 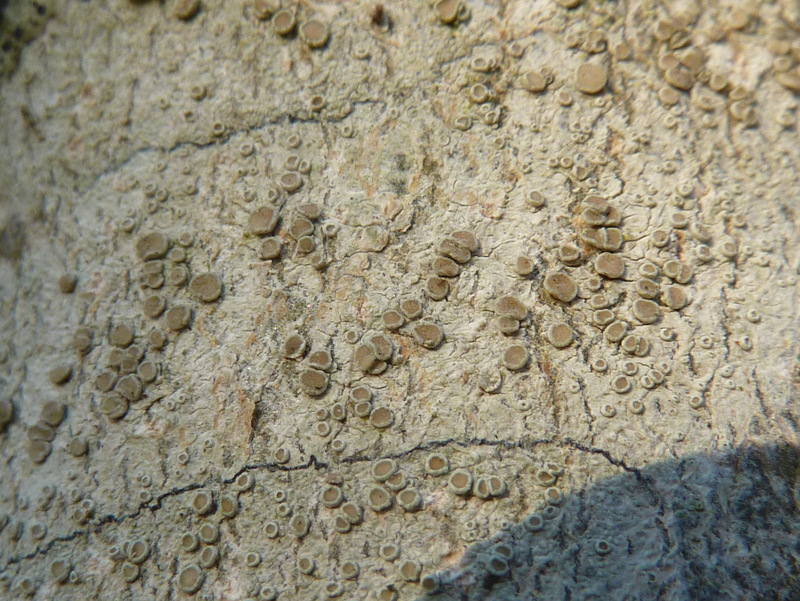 Often one of the shyer species, this is a good chance to get a good view of them. 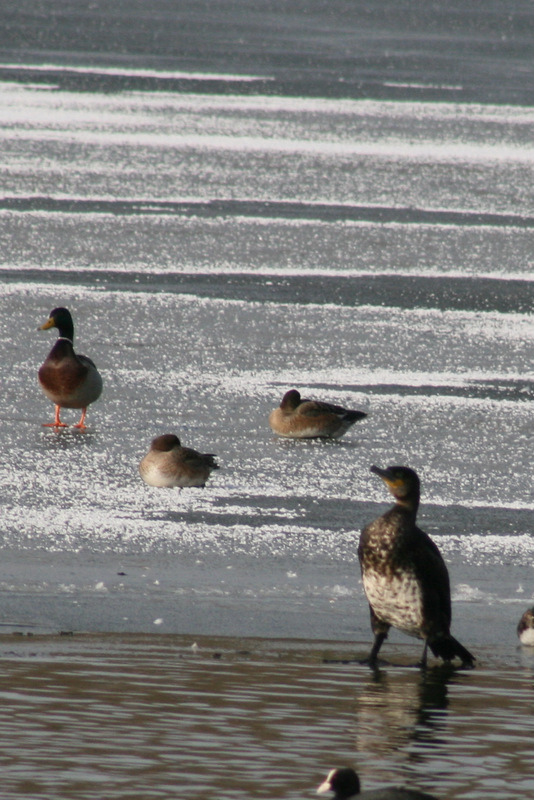 There are two on the ice and one braving it out on the cold waters with his head under his wing. 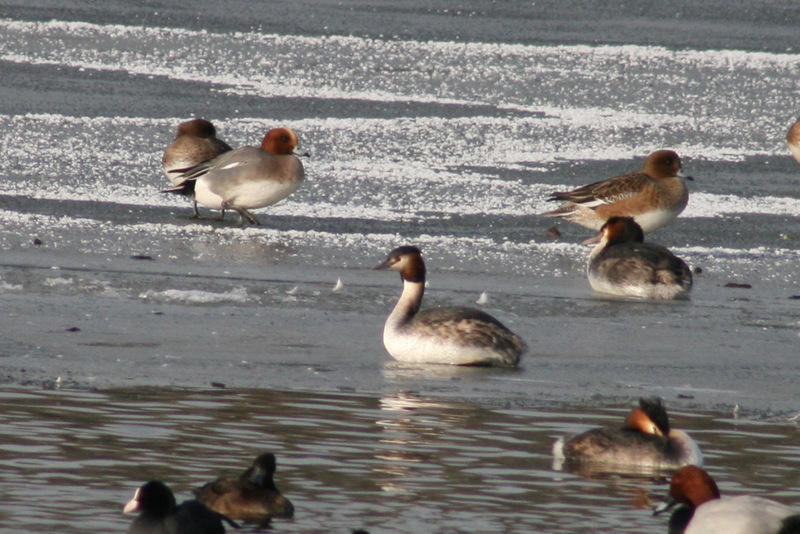 A species which will be very familiar to most – the males are the brightly coloured chaps whilst the drabber females are dressed in brown. They’re all taking care over their appearance in this photo! 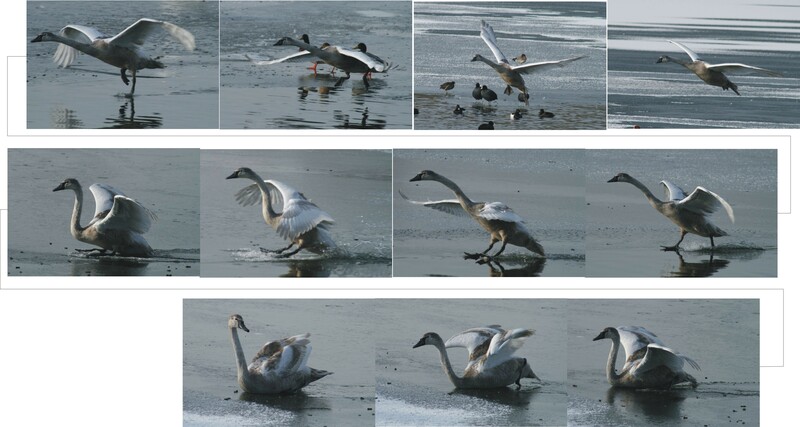 These are often quite territoral little creatures for much of the year, even chasing swans away from their patch. Perhaps it’s the sheer futility of being territorial in such a small space which calms them down at this time of year – they all looked to be getting on well. 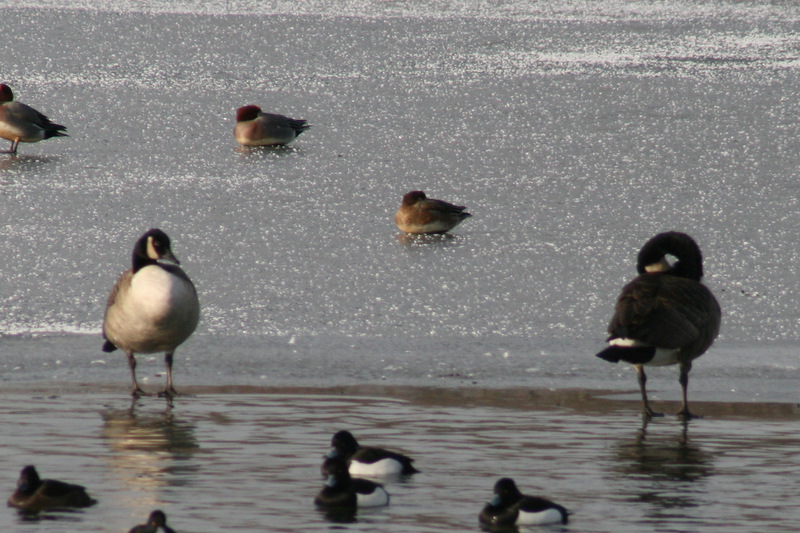 Whilst none of these photographs are award winners, this is the worst of them all – it wasn’t until I got back that I realised the camera had focussed a little behind the geese! 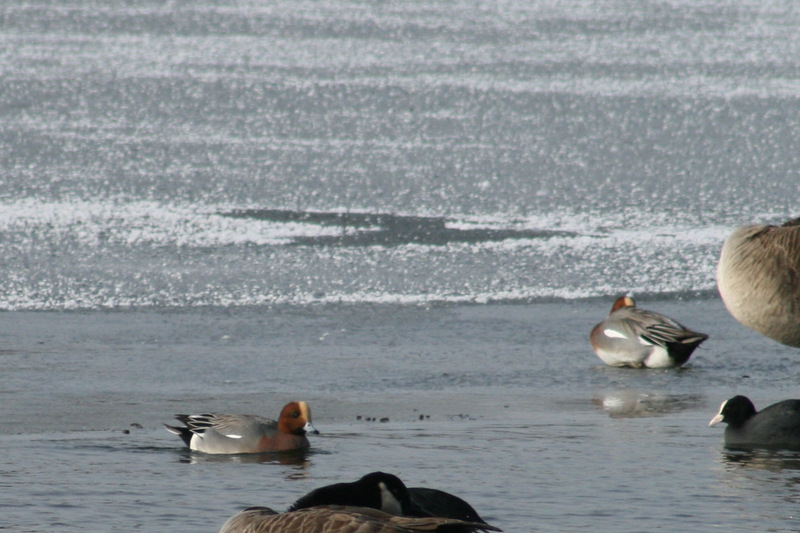 There are often large flocks of these geese, along with the greylags, but these were the only two when I visited.